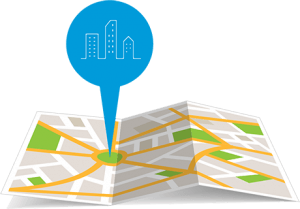 When forming a limited company, you will be required to provide a registered office address and a service address. This article will explain what these addresses are for, and services The Company Shop can offer regarding them. The registered office address is the official address of the company. This is required so that Companies House and HMRC have somewhere they can send any legal documentation or notices to. If your company lacks trading premises, The Company Shop offers a registered office service for your company at an annual price. This service keeps your home address private, meaning that it cannot be viewed by customers or competitors. It also looks more professional to have a credible business address as your registered office as opposed to a residential one. The service address is the official address of the company director. Again, this address will be made public, so it would be unwise to provide a residential address for this. Most companies will choose to make their registered office and service address the same, so that all mail regarding the company and its staff will be sent to the same place. Both addresses can be changed at any time provided Companies House are notified. So if you’re starting your company without trading premises, or you simply don’t want your trading premises to be used, you can make use of the address services that The Company Shop provides. We can keep your private information confidential and your business looking professional. For more information on our registered office service give us a call on 028 90559955 or see our website.